This seminar still has room for papers. Please get in contact with the co-convenors of S45: “Technology and Modernist Fiction” immediately with an expression of interest. 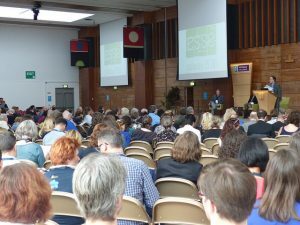 ESSE-13 conference, August 22 to August 26 2016, NUI Galway, Galway, Ireland. There is still space on this seminar – please send an immediate expression of interest to the co-convenors. The following ESSE 2016 seminar is still looking for contributors. Please send an immediate expression of interest to the co-convenors. From arguably the earliest example of Neo-Victorian fiction (Patrick White’s Voss, 1957) to recent Man-Booker winner The Luminaries (2013) by way of Peter Carey and Kate Grenville, the antipodes are a favoured setting for Neo-Victorian novels. This seminar explores how Neo-Victorian fiction constructs Australia, New Zealand and the Southern Pacific as, variously, the site of uncanny domesticity, an Other to Britain, a landscape to be colonised or scientifically appropriated, a frontier for the testing of masculinity, an occasion for re-writing of canonical texts. We aim to investigate the intersection of Neo-Victorian preoccupations with nineteenth-century discourses with post-colonial theorising of settler colonialism. The following ESSE-13 (2016) Conference seminars have extended their paper proposal deadlines.